Our product range includes a wide range of roller coatings. Roller Coatings offered comes with quality finish support and feature high load capacity as well as high wear resistance properties. Further, these roller coatings also provide for long service life and come backed by ISO9001:2008 certifications. Some of its features include allow rollers carry up to four times more load; offering high wear and cut resistance in the oily environment; makes rollers suitable for use in high-stress applications; superior bonding technology support and others. 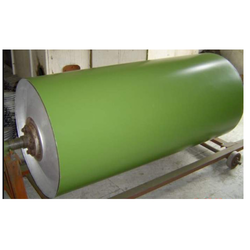 The Roller Coatings are widely used in plastic industries, textile rollers, plastic molds, and plastic heat sealing blades, Powder Coatings. These have very good non-stick properties.